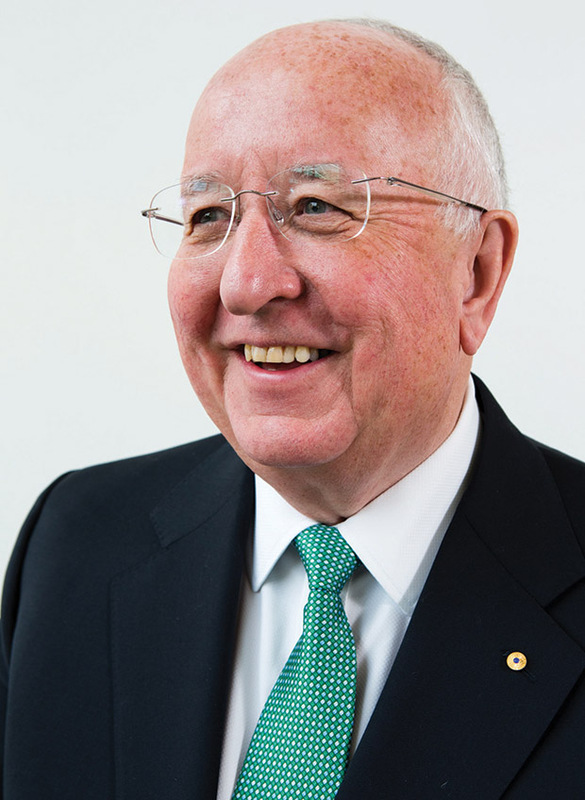 THE MT INTERVIEW: With commodity prices tumbling, Rio Tinto's CEO ought to be worried. But if he is, the unflappable Aussie isn't letting on. Everybody knows that the biggest surprise in the global economy last year was the shock 45% collapse in the price of oil, right? Hmm, maybe. The tumbling cost of Brent crude certainly grabbed the headlines, but in purely monetary terms there was another commodity which had an even more torrid year – iron ore. The price of this vital raw material – getting on for three tonnes of which are needed for every tonne of steel made so, like oil, it makes a pretty good benchmark of global industrial activity – dropped by an even more catastrophic 50% to languish at just over $65 (£43.25) by the end of last year. Unlike oil, it has since recovered a little, but most analysts and investors agree that 2015 is not set to be a vintage year for iron-ore miners. In fact, installed in a beautifully appointed corner office at Rio’s Paddington HQ, large enough to house MT’s entire editorial team with room to spare, the unflappable 65-year-old Aussie is anything but. Rather, he seems – like ex-Bank of England governor Mervyn King at the height of the financial meltdown in 2008 – to be enjoying himself. ‘Rio Tinto has been around for 140 years, we’ve been through lots of cycles and we will go through more. The truth is that in challenging times, that’s when we thrive. ‘There’s lots of focus on the iron-ore price, but we are tier one, the lowest-cost quartile in the industry. Our costs are right down here’ – a hand at waist level emphasises the point – ‘the issues are with the tier three and four players up here’ – the hand rises to shoulder height, accompanied by a wolfish smile. Just as oil is cheaper and easier to extract from the Saudi Arabian desert than it is from Canadian tar sands, so Rio’s iron-ore heartlands in the remote northern region of Western Australia known as the Pilbara are prime tier one mining real estate. It costs the company only around $20 to mine a tonne of ore there, so Walsh’s point that there is plenty of headroom even at current low market prices seems well made. Even so, life for Rio’s investors has hardly been a bowl of cherries recently. From a peak of around £36 a year ago, shares are now down to £28. For a FTSE 100 blue-chip commodities stock, which investors buy for stable returns as a hedge against volatility in other frothier sectors, that’s quite a drop. Surely that must be a worry? Not really, he shrugs. ‘Of course I am aware of what’s going on with the share price. But we make decisions for the long term. The people who buy Rio are not day traders. With a company this size you cannot manage the share price, you’ve got to manage the business. People can offer advice from the grandstand but you’ve got to play your game and not be distracted by loudmouths.’ Good advice too, for England’s one-day cricketers, should they make it as far as the World Cup final in Walsh’s home town of Melbourne next month. It’s not that he thinks everything is jake and he can sit back and relax, far from it. But he knows that for every down there’s an up to follow, and vice versa, you just have to stick to your knitting and wait. Besides, if it weren’t for the downs – Rio Tinto sank to a $3bn loss under his predecessor Tom Albanese, now boss of Indian miner Vedanta Resources – he might very well never have got to enjoy the spoils of being CEO of the firm where he has worked, in various capacities, since 1991. His recent career is a lesson in the virtues of patience: before his surprise appointment to the top job in January 2013, you wouldn’t have been alone in thinking that the then 63-year-old Walsh’s star had no further to climb. Certainly many in the industry thought that the days when he could expect to land another, even bigger, job were behind him. He was boss of the firm’s dominant iron-ore division from 2004, before that he ran Rio’s aluminium business and was recruited into the firm from the Australian motor industry. He had earned an enviable reputation, boosting production and sales year after year and with a vast store of experience to call on and a penchant for running a tight and effective ship. But his brand of conservative, careful expansion, always with a weather eye on risk, was out of step with the gung-ho approach that was de rigueur in many boardrooms in the noughties. As the Chinese economy exploded and the commodities industries enjoyed one of the biggest booms anyone could remember, big M&A deals and growth at any cost were the order of the day. Then came the crash, and look-before-you-leap was back with a vengeance. The board asked the swashbuckling Albanese to resign after a string of disastrous writedowns, including $25bn of the $38bn it had paid in 2007 for aluminium business Alcan, and $3bn of the $3.7bn it paid for coal-mining assets in Mozambique some four years later. So at an age when many peers would be anticipating with increasing relish the prospect of slowing down a bit, Walsh found himself called out of the blue to an emergency board meeting in London. ‘We were in Singapore on a long weekend,’ he recalls. ‘They said "Drop everything. Come as you are.’"
Rio swung back from that $3bn loss in 2012 to a $3.7bn profit in 2013, a turnaround for which Walsh was amply rewarded. His salary rose from $6.3m in 2012 to no less than $9.1m for the year after. So when he says that he ‘really loves the job and the industry’ it’s not hard to see why. But there’s a down for every up, remember. Last summer, only a few months after the triumphal announcement of that substantial return to profit, Rio received a most unwelcome $160bn take-over bid from Glencore Xstrata. Fresh from its own creation via the merger of Glencore and Xstrata the year before, and with South African/Australian/Israeli ‘triple citizen’ Ivan Glasenberg at the helm (who ousted Xstrata’s Mick Davies in a boardroom coup to become CEO), there was a lot of support for the deal in the City. 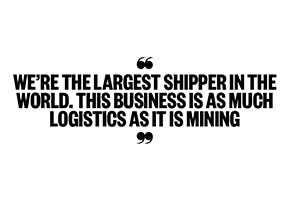 The prospect of creating at a stroke the world’s largest listed mining business was too juicy to be ignored and besides, Glasenberg was a dealmaker, the kind of customer that i-bankers love. He had done his homework, too, sounding out the board of Rio’s largest shareholder, Chinese aluminium business Chinalco, on its attitude to a possible merger. And yet Walsh was able to persuade his board in short order to turn the offer down flat. So small-c conservative is he that he even put a stop to the sales of Rio’s aluminium-smelting and diamond-mining operations, and is absolutely unapologetic for having done so. ‘Our aluminium business is now a joy to me. My predecessor tried to sell it and I stopped the sale; we just weren’t going to get value for money. Instead, we took £800m of costs out of the business, shut or mothballed assets that weren’t tier one and now it’s really motoring. Made £370m profit in the first half of last year. ‘I was absolutely, categorically right. We would have been giving it away for a song. Same with the diamonds, it will be a wonderful business. I jumped for joy that we didn’t sell. 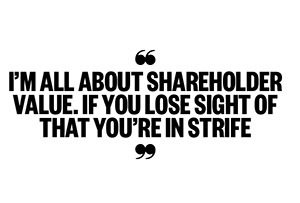 At the end of the day I’m all about shareholder value, that’s what drives your business. If you lose sight of that then you’re in strife,’ he says. For now Glencore has retired hurt from the field. But under Stock Exchange rules it is allowed to come back with another bid in April and many expect it will do so. To keep Rio’s shareholders sweet, Walsh has promised them ‘a material increase in returns’ and a $5bn share buyback is thought to be in the offing when the 2014 results are announced later this month. He has also been given a brand-new rolling contract to replace a fixed one due to expire at the end of the year, squashing rumours that the board aremulling over installing a new CEO. Born in Melbourne in 1949, Sam Maurice Cossart Walsh grew up in the city’s seaside suburb of Brighton. He was, he says, a natural leader despite being only the third-eldest of five kids. ‘As a family we were very engaged in the community – I sang in the choir and church and was a server, I was a Queen’s Scout. That does help with confidence.’ He remains a devout Christian to this day. It was the start, he says, of a pattern of assuming responsibility that has continued ever since. ‘At family events my elder brother would say to me: "Sam, you do the speech," and that’s pretty much what happened in my life. 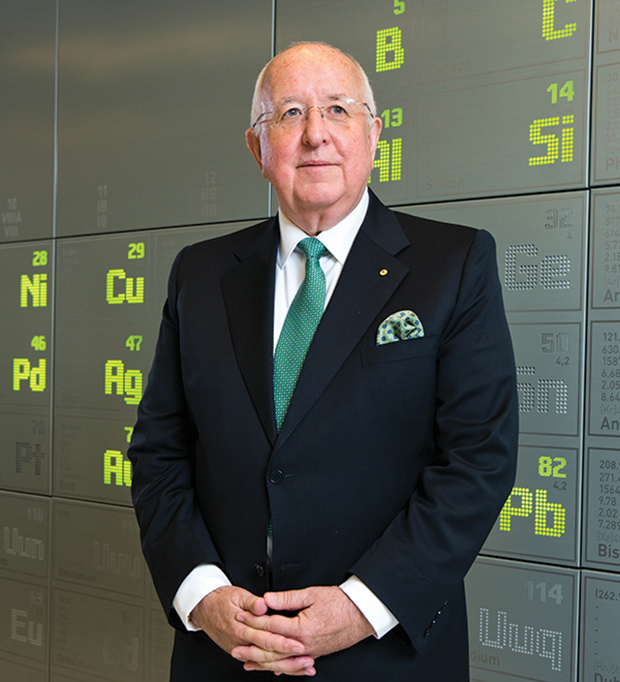 He spent 15 years at GM in Australia, ascending to senior management before moving to Nissan – which owned the largest aluminium foundry in the country – and thence to Rio Tinto, where after a spell in the aluminium business (then known as Comalco), he became CEO of the iron-ore operation in 2004. When he took that over, the way ahead was clear, he says – sell more ore to the Chinese. ‘We needed a symbol of what we could do. At the time the largest iron-ore ships going to China were 20,000 tonnes, although there were 200,000 tonners going to Japan. So I said, what about arranging for the largest ship that had ever been to China to dock there?’ Full of the Pilbara’s finest and with Rio Tinto’s name on the side, of course. Despite being monolingual in English, he ended up on Chinese national TV – ‘It couldn’t have gone better’ – and to this day Rio Tinto dominates the Australia-China seaborne route, the busiest commodities lane in the world. It moved 46.7 million tonnes of iron ore in the first 10 months of last year, on Capesize ships. These are some of the largest vessels in the world, so called because at up to 400,000 tonnes they are too big to pass through the Panama Canal and must instead go round Cape Horn if they wish to travel from the Atlantic to the Pacific ocean. As well as iron ore, Rio also mines and processes copper, aluminium, diamonds, zinc, coal – just about anything that can be dug out of the ground. It’s a hugely lucrative business but one that has led Rio to become the bête noir of many environmental and human rights NGOs the world over. It has been accused of multiple human rights violations over the years, most recently at its Oyu Tolgoi copper mine in Mongolia, and in 2008 the Norwegian government sovereign wealth fund blacklisted Rio shares over environmental concerns. But it was also one of the first mining firms to publish a human rights policy and is a member of the FTSE4Good ethical shares index. The firm was first incorporated in London in 1873, when a group of investors paid the Spanish government £3.7m for a moribund copper mine by the Rio Tinto (Red River) in Andalucia. Although a substantial sum, it turned out to be a bargain as there was a lot more copper left in the ground than the Spanish authorities realised, and demand from a rapidly industrialising Europe was on the up. Controlled for many years by the wealthy Rothschild banking family, by the 1950s it had sold the original Spanish mines and in 1962 merged with Consolidated Zinc to form Rio Tinto Zinc. 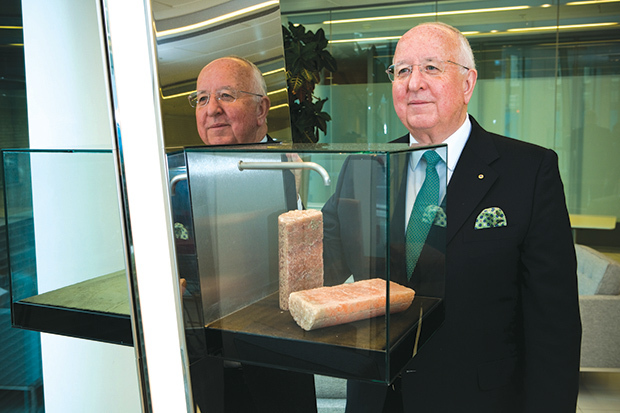 This was the birth of the Anglo-Australian business that exists today, but it wasn’t until the late 1980s that RTZ sold of most of its other interests to concentrate on mining. The idea of thousands of owner-managers running a FTSE 100 company as if it was their own business may not be text-book corporate finance, but so long as it works Walsh doesn’t care. He’s on the board of the Royal Opera House and with his three kids all grown up – they are aged between 32 and 42 – it’s easy to imagine Walsh and his wife as a couple of SKI (spending the kids’ inheritance) silvertops, sucking the juice out of the capital in a way that those who have lived there all their lives rarely do. Although in this case the kids’ inheritance probably won’t even notice the strain.